When you think of a sugar-free dessert, I’ll bet you don’t think of something rich and decadent tasting. Think again. 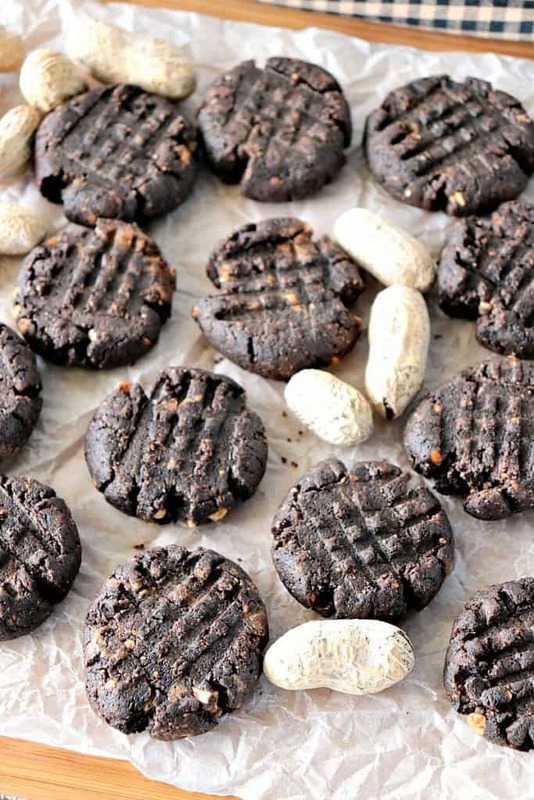 These 5 Ingredient Sugar-Free Chocolate Peanut Butter Cookies are incredibly rich and surprisingly addictive! When you’re eating a low-carb diet plan, it’s the desserts that seem to suffer the most. No longer. 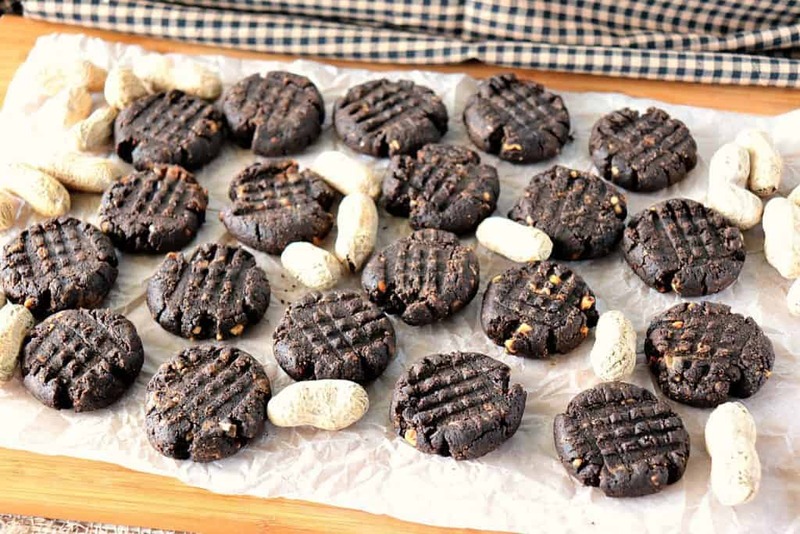 These 5 Ingredient Sugar-Free Chocolate Peanut Butter Cookies are husband approved and loaded with fresh peanut flavor, and plenty of chocolaty goodness. **Please Note – The printable recipe card with detailed instructions and complete ingredient measurements for making 5 Ingredient Sugar-Free Chocolate Peanut Butter Cookies is available near the end of this post. 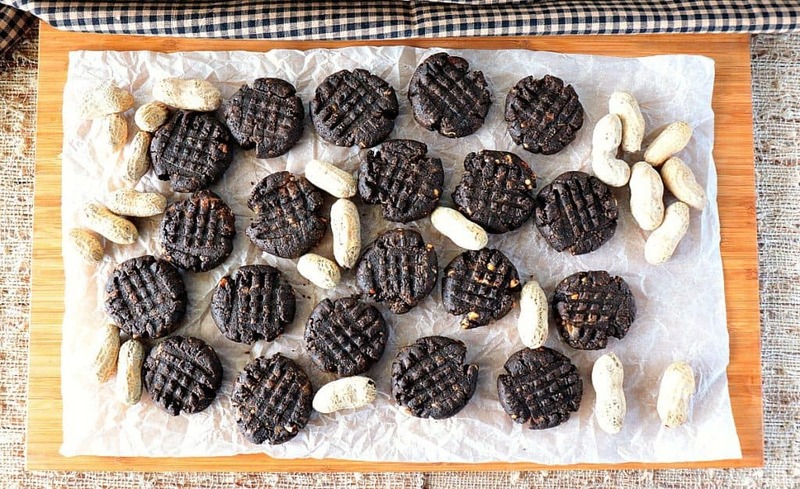 What are the 5 ingredients for making these sugar-free chocolate peanut butter cookies? In a large bowl, stir the peanut butter to loosen and soften it. Add the swerve, egg, salt, and sifted cocoa powder to the bowl. Stir the stiff dough well until thoroughly combined. Use a melon baller or tablespoon to measure out a walnut-sized amount of dough and roll to form a ball. Place the cookie balls on a baking sheet (parchment paper optional) leaving approximately 2″ between each ball. Use the tines of a fork to make a criss-cross pattern on top of each cookie. Bake the cookies in a preheated 350-degree oven for 12 minutes. Below is the printable recipe card for today’s 5 Ingredient Sugar-Free Chocolate Peanut Butter Cookies. 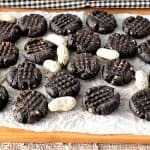 If you’ve enjoyed this recipe, I’d appreciate if you’d take a moment to give it some feedback by way of stars near the comment section at the end of this post. Thank you. When you think of a sugar-free dessert, I'll bet you don't think of something rich and decadent tasting. Think again. 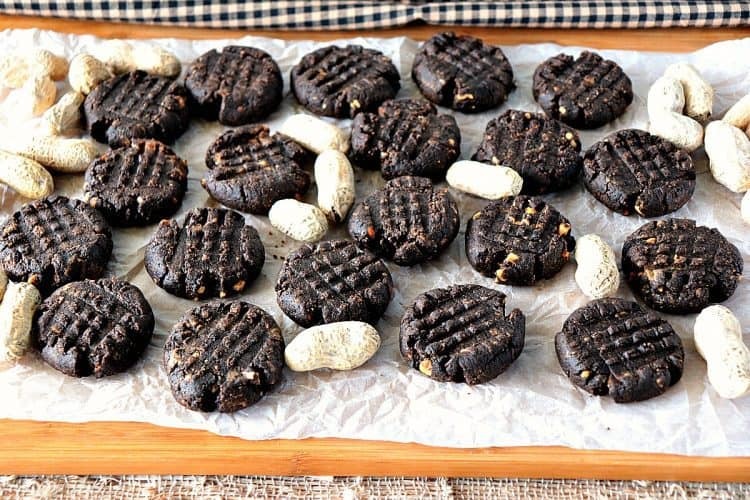 These 5 Ingredient Sugar-Free Chocolate Peanut Butter Cookies are incredibly rich and surprisingly addictive! Roll the dough into walnut size balls and place on baking sheets. I sincerely hope you’ve enjoyed today’s recipe for 5 Ingredient Sugar-Free Chocolate Peanut Butter Cookies as much as I’ve enjoyed bringing it to you! So glad you like them, April. Thanks!! Girrrrrrl YES! You had me at 5 ingredients! chocolate PB heaven! You make it sound so easy! 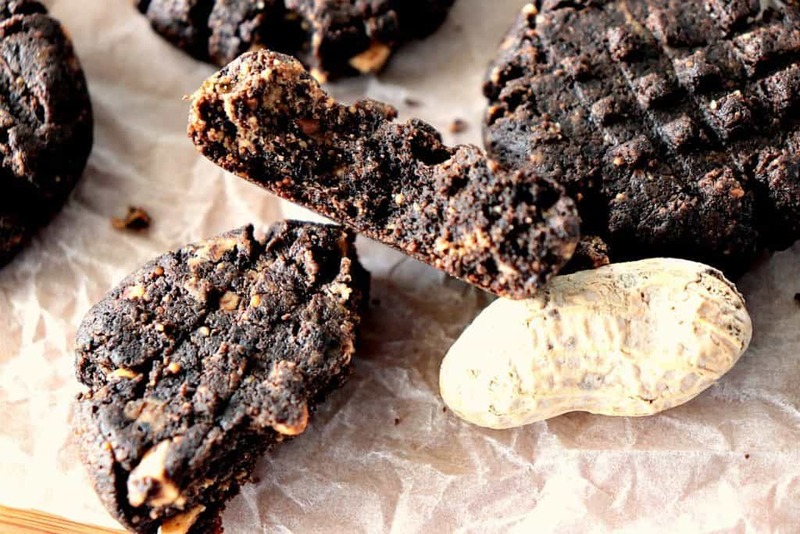 I can easily say that peanut butter, chocolate, and cookies are the most acceptable and favorite food of any household 🙂 This recipe is a bonus as it takes only 5 ingredients to make them with an added bonus of being sugar-free. Very unique and wonderful. Thanks for sharing. I’m glad you like this recipe! And, just so we’re on the same page, they ARE easy. I do hope you’ll make them. Thanks for leaving the comment and rating. I appreciate it!